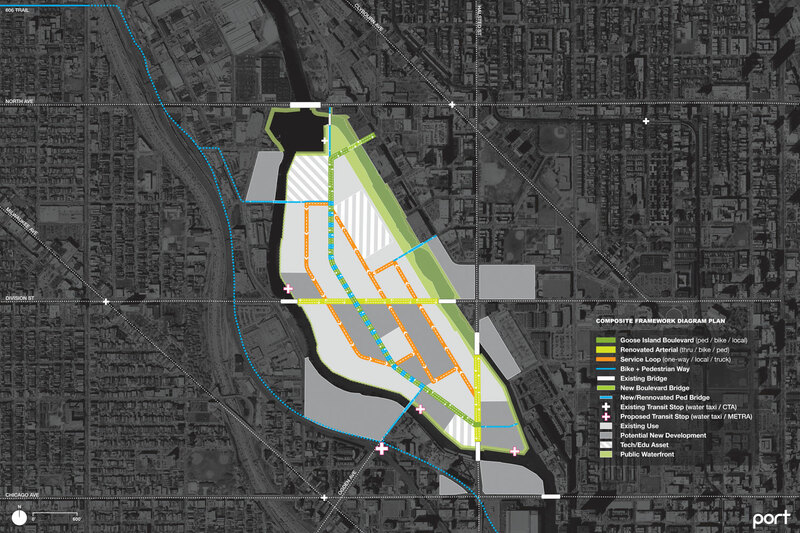 In 2015, PORT and R2 Companies collaborated on a near-term vision for Goose Island. 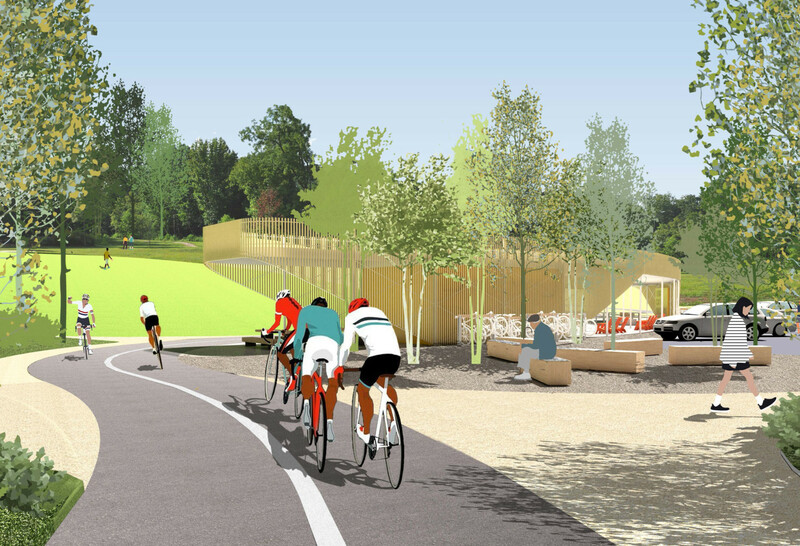 The study is neither a master plan, nor a set of fixed development recommendations. 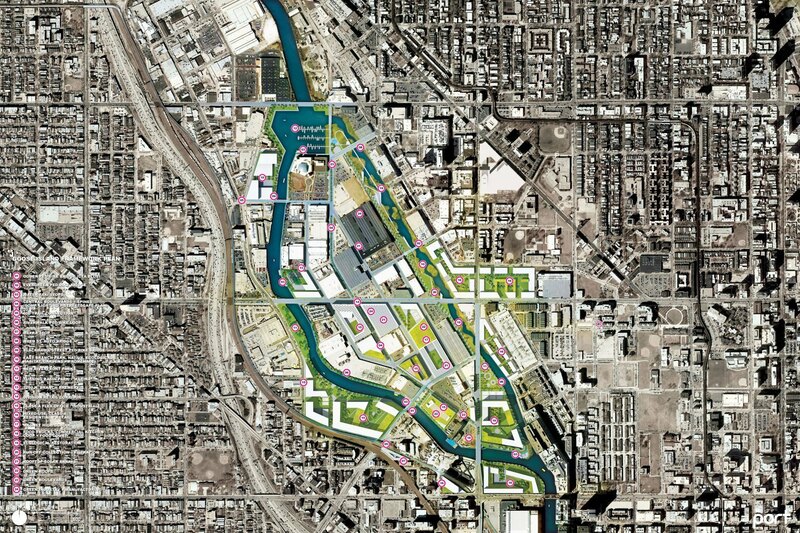 Rather, the project endeavors to catalyze a larger conversation about the future of an area that represents one of the most significant urbanistic opportunities in Chicago. 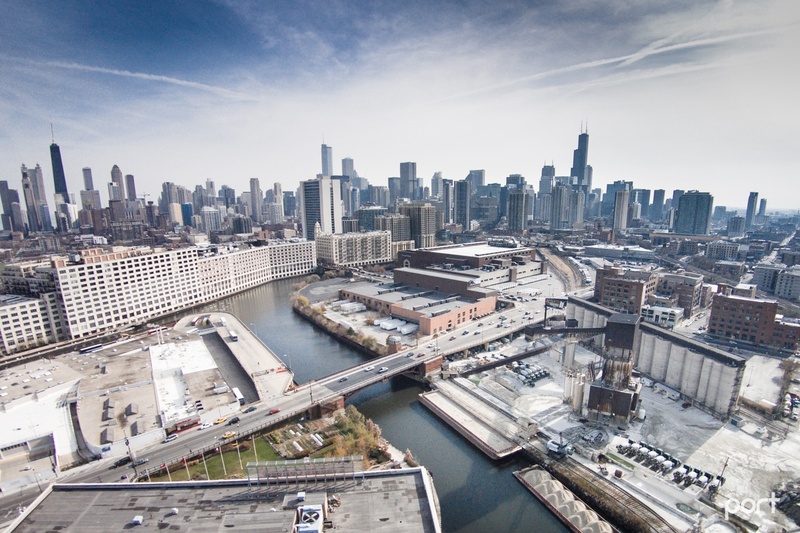 The Vision reimagines how changing 21st century manufacturing and industry can be reintegrated into the fabric of the city, while simultaneously creating a fertile environment within which emerging industries can take hold. 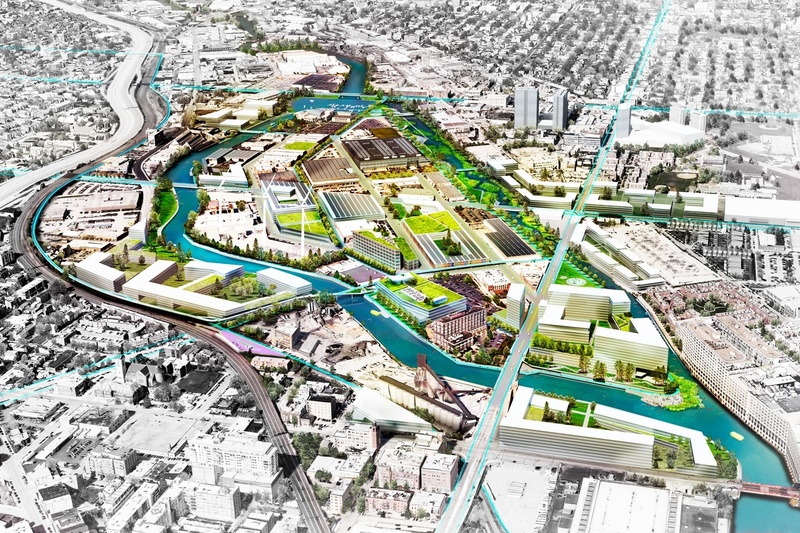 The Vision includes: 1) increased connectivity via new bridges, new water taxi stops and a METRA train stop; 2) an open space framework comprising a new public water garden along the North Branch Canal, a riverfront boardwalk and enhanced boulevards for bikes and pedestrians; and 3) innovative forms of mixed-use and industrial development. 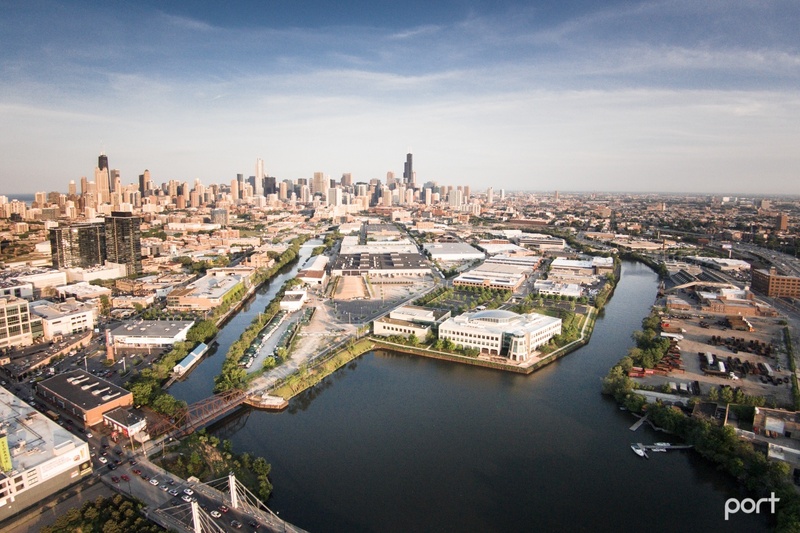 There is growing interest in the future of Goose Island. 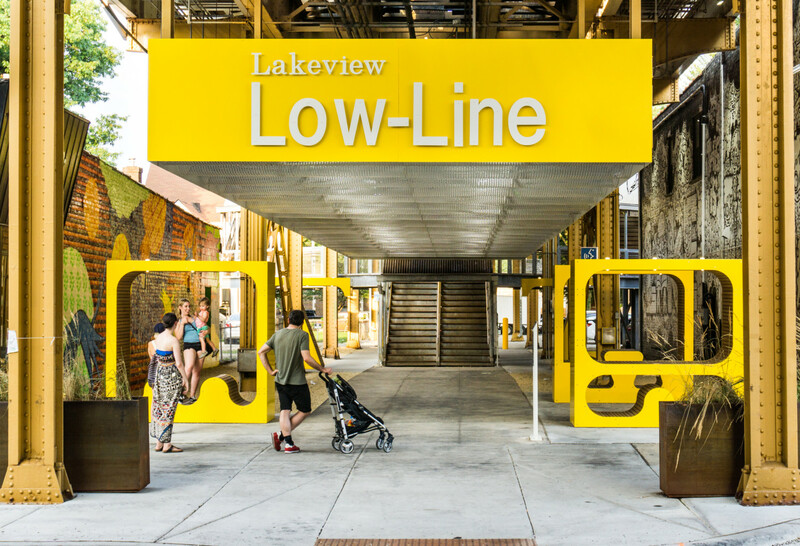 The danger is allowing these various interests to be pursued in an ad hoc way that forecloses on long-term potential in pursuit of near-term gain. In order reach this potential, some degree of coordination and consensus around the island must be established. 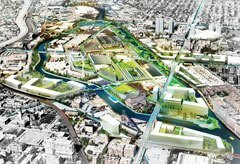 The Goose Island 2025 Vision is a first step towards this necessary unanimity. 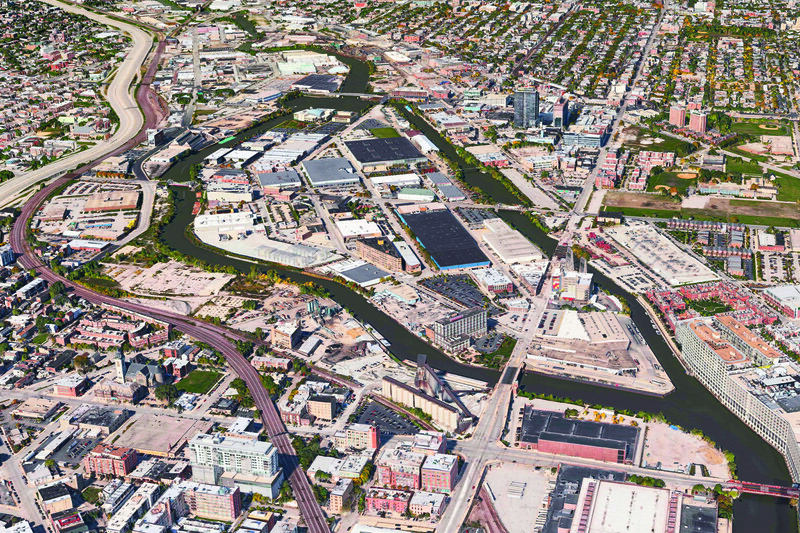 The Goose Island Vision 2025 was featured in Crain's, Curbed Chicago, Deezen, and ArchDaily. 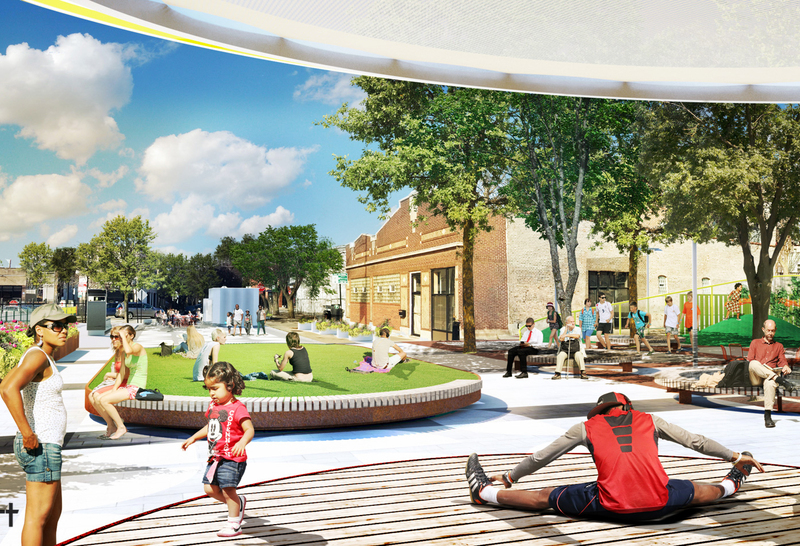 Read more about the vision on the Goose Island 2025 website.